Are customers finding your business on the Internet? Is your site paying for itself? It is essential to have a website or presence on the internet for most business these days and there are many ways to achieve this depending on your target audience and budget. Just because you paid thousands of dollars for a website, it doesn’t mean new or existing customers are finding you on search engines such as Google, Yahoo or Bing. As well as creating a great looking website, you have to make changes and keep making regular changes to your site to make sure it remain “search-engine-friendly” and appears high in the list of pages when someone search for a particular product or service. However, if basic-SEO (Search-Engine-Optimisation) was not implemented when it was setup, it may never be properly indexed by Google and appear in Google Searches. 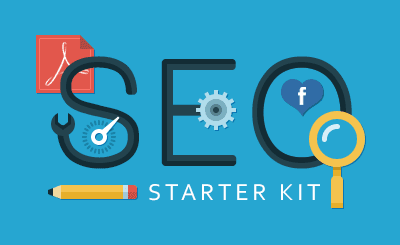 The IT Guys offer a SEO-Starter pack for only $234 in which we perform the initial and vital basic Google registration tasks to make sure your business is found on Google Maps and in Google Search. Just because you were #1 in Google last year when someone was searching for “widgets” does not mean you are today. Google has made a lot of changes and updates in the last 12 months which have seen many many companies disappear from the rankings completely. If your company relies on regular traffic and inquiries from your website and you have noticed inquiries drop off in the last 12 months. Try searching for your company using a “keyword” that your customers regularly search on. Do you still rank as high as you did last year? With more and more people turning to mobile devices to search for businesses, if your site is not mobile-friendly and responsive, chances are that customer will go to the next site that is. You need to perform a Website Ranking Audit of your site at least once every 12 months, to check your web site search engine ranking and how you compare with competitors sites. We can help you do so for $156 and provide you with free recommendations and suggested and priced improvements. We can have your website listed at #1 in Google Searches for your preferred phrase or keyword within 7 days using PPC Advertising.